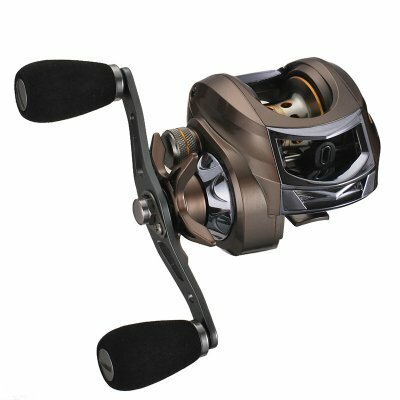 Successfully Added Right-Handed Strong Metal Drop Design Bearings Drum Fishing Reel for Boat Ocean Fishing Round Dark Gold to your Shopping Cart. Strong and sturdy metal construction and fine workmanship, high quality and durable in use. Ergonomics handle design, it is convenient for your to operate, unhindered rolling without jamming. High quality wear-resisting wire ring, the fishing wire outgoing will be smooth and fast. Light weight, small with large capacity, can hold enough fishing wire for your long-distance fishing. The colors might differ due to different monitor settings, please kindly understand.